Vertavo Quartet have risen to this challenge without any sacrifice in what has been their trademark these past 25 years: their exquisite sound quality. Their expression is shaped with with an inner intensity which remains behind even the grandest of gestures and always maintains a sense of the music's architecture - from the subtle to the quasi-violent to the almost painfully beautiful. 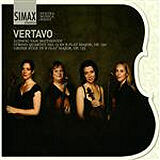 The Vertavo Quartet veer from the light, lyrical and almost dance-like to the raw and intense. The musicians elegantly blend their sound, sometimes lifting out their individual voices and the next moment re-uniting. May this quartet go this convincingly into the next 25 years. These are utterly beautiful readings of rare Russian repertory that might easily pass unnoticed. The music is enchantment itself. But it is the yearning feel of these performances that makes one sense also the folk idiom from which Tchaikovsky - and all else that is glorious in 19th-century Russian music-sprang. The Vertavo Quartet's performances are universally crisp and exciting. They contain plenty of adrenalin and magic, and these four young ladies from Oslo make one of the most bracing chamber music sounds I have heard in years. They move together securely and their tone is exquisite, from Bjørg Værnes's appealing cello to violist Henninge Landaas's sly contributions to the first of Glazunov's chirpy Novelettes (1886) and the two folksy fiddles in the oriental second and the sad Tchaikovskian third. The disc's title comes from the St Petersburg soireés held on Fridays by the music publisher Belaiev. Try the intimate central trio of Borodin's cherzo and listen to how the outer bits whizz along. This top-class ensemble is beyond rating and its latest release will hold a priveleged position on my shelves for a long time. 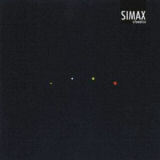 Simax has done marvels with the vivid sound, from d'sten-Sacken's succulent Berceuce to Glazunov's dance-like, acidic Zigeuner finale. 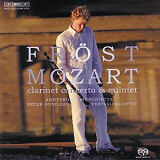 A superb, even stunning, performance and recording of some of the greatest of Mozart’s music. Bartók’s six String Quartets represent half a century of music. 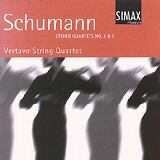 The quartets span from the beginning to the first half of the last century, and differ from each other harmonically, expressively and dynamically. The all-female Vertavo String Quartet takes on the monumental task of conveying Bartók’s soul that is mirrored in his works. With a confidence that we can only envy them, the Vertavo String Quartet perform Bartók’s abrupt rhythms, broad sonorous fields and dissonant passages like few string quartets have done before them. The level of musicianship on display is stunning and the deep interplay is a result of more than 18 years of work. Bartók’s works have followed the Vertavo String Quartet throughout its rise to acknowledgement, and the quartet pays on this album a dignified homage to the master. The Vertavo Quartet plays Bartok joyfully ... Freshness and spontaneity are hallmarks of these performances ... I can tell as I listen that chamber music is a passion with these players and they expect to be passionately listened to. Like so many great masterpieces, the Bartók set has been recorded by practically every reputable string quartet of the past and present. So the appearance of yet another version, and by a relatively obscure group at that, is a bit surprising. But there is no doubt that the Vertavo Quartet's approach to the music represents a distinctive new voice, so this set is a welcome addition to the discography. Consisting of four young women, this Norwegian ensemble was formed in 1984 and is enjoying a highly successful career: it has won numerous prizes and awards, hosts its own concert series in Oslo, undertakes tours and participates in music festivals worldwide. 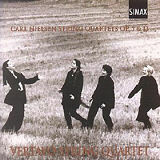 The Vertavo has released several recordings; their version of Carl Nielsen's complete quartets received the Norwegian Grammy Award in 1997. This Bartók set, too, is of very high quality. The four players are clearly equally good (indeed, it is impossible to tell the first and second violin apart). Technical problems do not seem to exist for them, even in this enormously difficult music; their tone is homogeneous, warm, capable of achieving the immense variety of colors these works demand, and adaptable to every expressive need. Their vibrato is a little wide (though variable), but the ear soon adjusts. Their way with balance is interesting, if sometimes a bit questionable: in order to bring out one line, they relegate the rest to virtual inaudibility, though the texture is always clear. Perhaps the most impressive aspect of the Vertavo Quartet's performance is the players' apparently natural affinity for the folk music element of Bartók's style: the jagged, angular, constantly changing rhythms, the characteristic melodic contours, the gypsy-like abandon. These ladies bring to these complex works an ease and security gained through long, close study and many performances; they have the freedom and confidence to enter into and project all the changing moods of the music, from dreamy, introspective and mysterious, to wild, passionate and tempestuous. Until this set arrived, my ideal Bartók quartet cycle would have been somewhere between the Emerson Quartet on DG and the Takács on Decca. 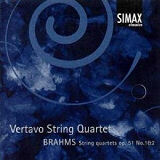 After one hearing, though, I'm inclined to think that the Vertavo Quartet offers a more rounded view of Bartók. While there's no exaggeration, the spectrum of moods is immense, from the pungent elation of the First Quartet's dance finale to the contained desolation of the Sixth's concluding Mesto. In the two most radical quartet's - No 3 and 4 - the Vertavo gives due weight to Bartók's modernist sound effects, but as in the other quartets the expressive melodic line remains prominent. 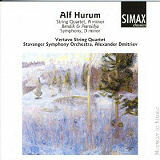 The recordings are exellent, too: close and well-focused but with a sense of space around the instruments. Bartok was a meticulous annotator, putting every last expressive mark and detail of articulation into his scores. In the string quartets this even extended to noting the timing-to the second-of each movement, if his metronome markings were adhered to exactly. 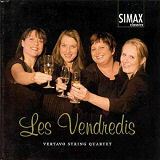 The all-female Vertavo Quartet takes a more liberal view in its new cycle, and in the progress proves that being more flexible with tempos takes nothing away from the music- and, indeed, adds much in compensation. Alongs the such ensemble as the punctilious Hagen Quartet (...), the Vertavo can seem both daring and technically less perfectionist. But the players have taken a deliberate decision to exploit the emotion of the music. The first and last quartets are already emotionally passionate, but the Vertavo demonstrates how the rawness and immediacy of expressionism lie behind the notes of all six works. Captivating performances which get right to the heart of these intensely emotional works! Outstanding quartet playing. The first movement of the Grieg sets the tone; a performance combining precision (ensemble, tuning and rhythmic control spot on) and imagination, with continually varied sound and sophisticated use of rubato. I was particularly impressed by the tight, agitated main theme, the sweet and tender tone of the second subject, and the rainbow colours of the ponticello tremolando in the coda. As a whole, this Grieg bears comparison with the celebrated 1937 Budapest Quartet recording (available on RCA, 4/94) in the intense yet subtle way the different emotional shades are projected. The Vertavo don't quite match the Budapest's nostalgic drawing-out of the phrases at the end of the second-placed Romanze, but the whole movement is equally captivating - graceful and sensuous, with sharply sinister Allegro interruptions. The finale doesn't attempt the high-speed controlled virtousity of the Budapest, or the Petersen Quartet's ferocious drive (Capricio, 1/94). Instead, at a slightly slower tempo, the group succeed in characterising very clearly each detail, each change in texture. The Debussy is equally good. Compared with the new Kuijken version I'd just been listening to (reviewed above) with its luminous sound and clasical poise, this is a freer, more hands-on interpretation. Here, too, the Vertavo find just the right style and sound for every turn of phrase. The Scherzo has magigal lightness, with wonderful pizzicato, the Andante's final bars are beautifully dreamy and hazy - real musical impressionism - and in the finale, unfailingly expressive playing brings out fully the intensely emotional character. Not to be missed! Outwardly there might appear little to connect these two quartets apart from their shared key of G minor. Yet they arise from a common Romantic tradition, even though Grieg's language is tinged with Norwegian folk music, while the exotic sound worlds of eastern Javanese music percolate Debussy's style. 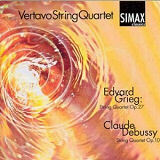 Moreover both works use the orchestral potential of the quartet with subtle textures and harmonic colourings. It takes a superlative group to maximise these qualities, and the Vertavo Quartet is stunning in accomplishing this task. The players' interpretation is completely homogeneous - with a breathtaking control of swift-changing metre in the opening of the Grieg Quartet. Harmonic shadings are coloured in masterly fashion and melodic lines beautifully shaped, no more so than in the intermezzo where they effect an engaging empathy with the Norwegian folk-inspired music. Their technical brilliance and strong awarenes of pacing in the final are equally dazzling. Quite apart from sharing a similar musical heritage, both quartets are emotionally intense and passionate - elements which the Vertavo encapsulates with an impressive fervour in the opening Animé movement of the Debussy. Again the group's awareness of dynamic range, texture and harmonic voicing creates a subtlety of sound which could be equated with the effect of shimmering light on water disrupted by strong breezes. The ensuing Scherzo is strongly characterised with boldly shaped pizzicato lines and an acute awareness of the rapidly changing timbres of this fleet-footed movement. 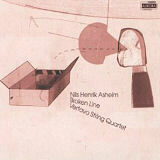 These players' evident interpretative flair combines with the excellent recording to provide an outstanding release. The Vertavo players are eloquent and passionate Brahmsians, taking a dramatically charged and irrepressibly motoric view of the C minor work, strongly rooted in received performing traditions, yet still sufficient to engage the listener fully. Particulary impressive is its mastery of dynamic nuance and shading, but do not expect to hear "conventional" Brahms; here it's the sinewy angst and headlong impetus of the music that registers palpably.